Ai Fukuhara, Liu Guoliang, the Olympic champion Ma Long, and of course, Zhang Jike, all made it into the top 8 most searched athletes during the Rio Olympic Games on Weibo. This just means that our sport and our players are appealing. Who do you think got the top spot? The Rio Olympic Games was another successful gathering of spectacular athletes vying for the ultimate goal, the Olympic victory. On this aspect, it was the Chinese Team who absolutely brought home the bacon, recording another sweep of all gold medals in the table tennis event. But on a different aspect, like the most popular athletes during the duration of the Olympic Games, our dear sport won. Last week, the Chinese version of Twitter, Weibo, released a list of the most searched athletes by Chinese fans during the competition. Head coach Liu Guoliang made it into the list in number 8. The leader of the strongest team gained 100+ million searches. Japanese star Ai Fukuhara was also recognised by the Chinese fans. She landed in number 6 with 120+ million. Ai Fukuhara is fluent in Mandarin Chinese and is also very appealing among Chinese. Therefore, it is not so hard for China not to love her. Of course, the Olympic champion Ma Long was also a part of the most searched sports personalities during the Olympic Games. His double victory led him to the fifth place with 130+ million hits. Last but certainly not the least is no other than the always controversial Zhang Jike. This guy overtook the swimming hottie Ning Zetao in third place and the swimming champion Sun Yang in second place. Zhang Jike garnered a whopping 400+ million searches within more than a week of competition in Rio de Janeiro. 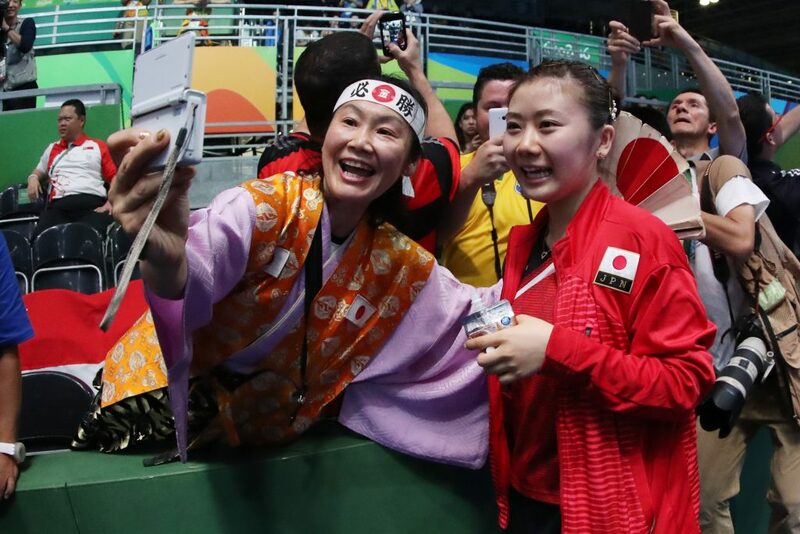 The 2016 Olympic Singles silver medalist undoubtedly has the widest fan base among Chinese table tennis fans at least. However, this was not the only reason why he landed on the top spot. After such photo was uploaded on social media, people already made different memes, jokes, even comical stories about it. It was the hottest trending thing on Chinese web at that time. No wonder Zhang Jike got the spotlight again.